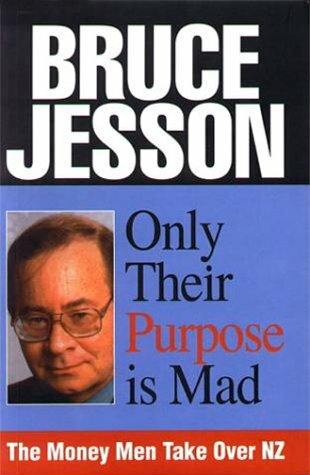 What a great title, Only Their Purpose Is Mad: The Money Men Take Over NZ. Jesson adapted the first part from Herman Melville’s Captain Ahab, who in a rare moment of self-awareness says, “all my means are sane, my motive and my object mad”. Ahab was indeed very rational in his pursuit of his goal of hunting down the whale which had sunk his ship and caused him to loose a leg; he was not a madman. But he was gripped obsessively by his goal or purpose, and the combination of rationality and obsession produced the ultimate disaster.